Mr Fearon was an IT consultant working via his personal service company, IRK River IT Ltd.
HMRC opened an enquiry into his 2012/13 return and discovered that he had overclaimed subsistence expenses. The claims had been credited to Director’s Loan Account and the amounts drawn out by the director. HMRC treated them as under-declared director benefits. The enquiry was extended to 2011/12 and 2013/14. Applying the Presumption of Continuity (i.e. that if a couple of years are wrong, the chances are the error persisted in previous years), HMRC raised Discovery assessments for 2010/11 to 2013/14 for £13,810 in undeclared income under self assessment. The taxpayer appealed. He claimed that his accounts were wrong and had been corrected by his accountant and that his personal tax returns should have been corrected. The company had not filed correctly accounts: there was no excuse for the errors, and it noted that every item of subsistence chosen for spot checks was found to be incorrectly claimed. It agreed with HMRC that the errors were deliberate rather than careless. It confirmed that the assessments are valid. The tax term for food and drink: special rules apply for PSCs. 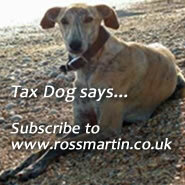 Tax issues for your typical single director/shareholder company. When and how can HMRC raise a discovery assessment: what conditions must be met?